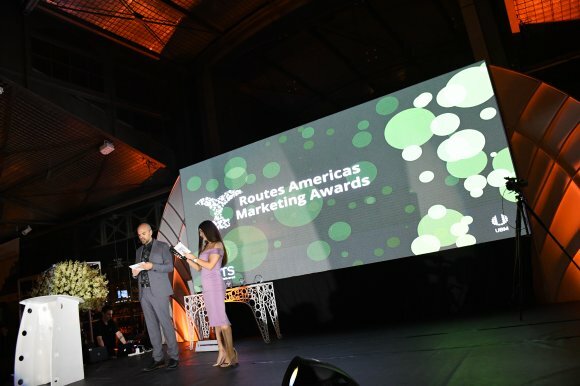 In the second of a two part feature, Routesonline takes a closer look at the airports and destinations named as finalists in the Routes Americas 2019 Marketing Awards. This week, we profile the airports shortlisted in the Over 20 Million Passengers category, as well as the tourism organisations in the running for Destination award. Click here to read the full shortlists. Since 2013, Los Angeles International Airport (LAX) has attracted 37 new international non-stop services to include 21 new foreign carriers. Of the new international markets, seven serve the Latin America/Caribbean region. LAX set a new all-time record for passenger traffic in 2018 with 87.5 million travellers, an increase of 3.52 percent over 2017. Top international markets included London, Mexico City and Seoul, while New York (JFK/Newark), San Francisco, Chicago and Las Vegas were the most popular US markets. Orlando International Airport (MCO) enjoyed its best-ever year in 2018 for air service additions, with 29 new city pairs. The new markets collectively accounted for more than 365,000 seats, while seven new airlines - Edelweiss, Flair, GOL, Interjet, Norwegian Air UK, Swoop and WOW - were secured. In addition to bringing new airlines, existing partners also expanded their services from MCO. Frontier added 19 destinations and Spirit Airlines added 17. The airport’s marketing activities included airline HQ visits, coupled with efforts to showcase the potential of outbound business and leisure markets. El Dorado International Airport (BOG) ended 2018 with more than 33 million passengers, a rise of 7 percent compared to the previous year. The airport added four new international destinations to its network of 49 international and 40 domestic destinations. During the year, BOG’s marketing activities included carrying out face-to-face meetings, attending industry events and visits to airlines’ headquarters in order to better understand their needs. After the launch of 13 new international services in 2018, Sao Paulo - Guarulhos International Airport (GRU) recorded an all-time record with 42.2 million passengers, a rise of 11.8 percent compared to 2017. The international segment grew 6.5 percent, reaching 14.9 million passengers. New city pair routes were launched to Boston, Las Vegas, Tucuman, Tel Aviv and Quito, while Munich will reopen in 2019 after a three-year suspension. Overall, GRU expanded its network by adding more than 200 weekly one-way frequencies. Three new international services have been launched at Seattle-Tacoma International Airport (SEA) over the past 12 months (Paris, Dublin and Manchester), while four more are launching in 2019. They are Delta Air Lines to Osaka, Cathay Pacific to Hong Kong, Japan Airlines to Tokyo, and Singapore Airlines to Singapore. SEA increased passenger numbers by 6.2 percent last year to almost 50 million, representing an additional 16.6 million passengers over just six years. It has continued to focus on leveraging its status as a dual hub for both Alaska Airlines and Delta Air Lines. Cancun Convention & Visitors Bureau is responsible for the promotion of the Mexican tourist destination, known for its beaches, numerous resorts and nightlife. Cancun International Airport has enjoyed significant growth in recent years, with the number of departure seats rising from fewer than 11 million in 2015 to almost 14.2 million in 2018. New routes added last year included Eurowing’s flights to Munich and Frontier’s service to Las Vegas McCarran. Earlier this year, Canadian ultra low-cost carrier became the latest airline to operate flights to Cancun. The Las Vegas Convention and Visitors Authority (LVCVA) and McCarran International Airport (LAS) have formed a comprehensive partnership to support initiatives to grow air service for the destination. The efforts of LVCVA and LAS have resulted in an estimated annualised overall economic benefit to Las Vegas of over $1bn for air service started in 2018. After securing the first route to Brazil in 2018, KLM and El Al are set to launch new international services this year. LVCVA conducts substantial research, providing carriers with the information they need for planning decisions. As the City of Los Angeles’ official tourism marketing organisation, Los Angeles Tourism & Convention Board markets and promotes Los Angeles as the premier destination for leisure travel, meetings and conventions. The city reached a historic milestone in 2018, welcoming 50 million visitors for the first time ever and accomplishing the destination’s tourism goal two years early. The new record is 1.5 million visitors higher than 2017’s total. Domestic visitors rose 3 percent to 42.5million and international visitors by 3.6 percent to 7.5 million. Saint Martin lived through one of the worst natural disasters in its history in 2017, with the passage of hurricane Irma ripping through the heart of the Caribbean island. Rebuilding its tourism industry will take time, but the Saint Martin Tourist Office is at the forefront of the process. 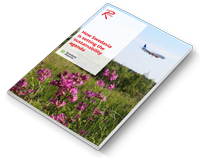 Attracting new and former air routes is therefore key to its ongoing revival. In 2019, JetBlue is adding routes to Fort Lauderdale/Hollywood and Boston, while Sunwing Airlines will fly to Montreal and Toronto. Visit Orlando’s marketing efforts helped to attract more than 47 million estimated airline passengers to Orlando via Orlando International Airport (MCO) and Orlando Sanford International Airport (SFB) in the last 12 months. An estimated six million arrivals were international travellers, spurred in part by Visit Orlando’s marketing activities. They included supporting American Airlines and LATAM Airlines by implementing joint initiatives in Argentina to educate travel professionals; running destination seminars for the likes of Avianca, Aeromexico and Interjet; and partnering with Delta to support the launch of the carrier’s new direct route from Shanghai to Orlando.